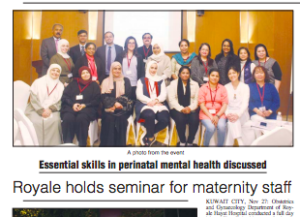 International Forum for Wellbeing In Pregnancy (IFWIP) Founder, Dr Raja Gangopadhyay, was invited to visit the Royale Hayat Hospital, Kuwait, to run the Masterclass on Perinatal Mental Health for Maternity Staff. 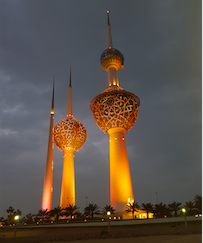 Dr Gangopadhyay shares his experience in Kuwait in this blog. 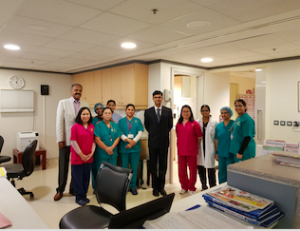 It was a fascinating experience to visit the Royale Hayat Hospital in Kuwait. 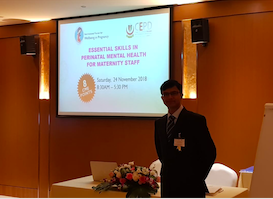 We received the invitation from the Head of the Department in Obstetrics and Gynaecology (O&G), Dr Abubakr Elmardi, to run the Masterclass on Perinatal Mental Health for Maternity Staff. 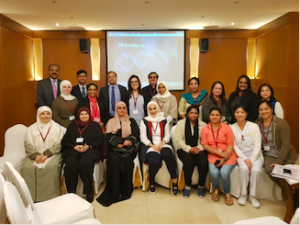 We conducted the Masterclass on 24th November 2018 at the Al Jouri Hall Royale Hayat Hospital, Kuwait. This Masterclass offered by IFWIP is suitable for Maternity Staff in any part of the world and adapted according to the requirement of the service provider. The aim is to improve the knowledge and skills in the management of mental health conditions during pregnancy, labour and postnatal period and acknowledge the vital role of the Maternity staff. 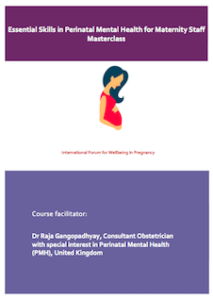 This vital information would help in the assessment, identification and treatment of different mental health conditions during the perinatal period. It also helps to appreciate the impact of stress/ mental health condition and how can affect the fetus and pregnancy outcomes. We always highlight the importance of the Multidisciplinary Team working and good communication with the patients and families. To the best of our knowledge, this was the first of its kind in the Middle East region. 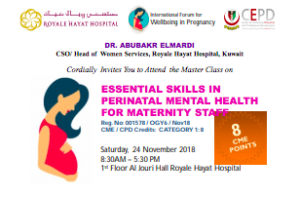 Therefore, I would like to commend the vision of Dr Elmardi and his team at the Royale Hayat Hospital in taking initiative in organising this session and great to see that they are pioneering in this field. Perinatal Mental Health conditions are common affecting at least 1 in 5 women during pregnancy and also a leading cause of Maternal death all across the world. Failings often start in the pregnancy, therefore, early detection by the Maternity Staff and signposting to the Specialist Mental Health team is of utmost importance. 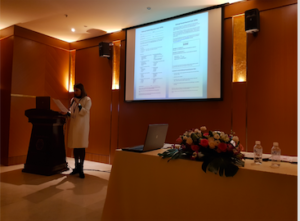 Under the guidance of Dr Elmardi, we conducted an electronic pre-workshop survey and carried out a basic Training Needs Analysis. We tailored the Masterclass accordingly. 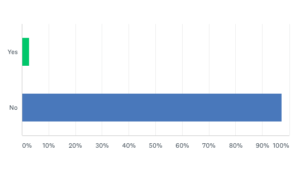 Over 97% of the attendees who participated in the survey said they did not attend any training recently. Therefore, the Masterclass was certainly necessary. 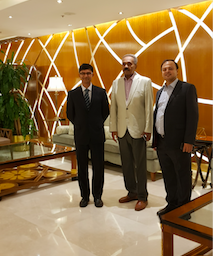 I was accompanied by Dr Parijat Bhattacharjee, an eminent Consultant Obstetrician & Gynaecologist from the UK. 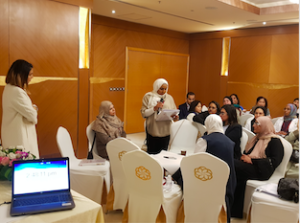 We were honoured to have the Consultant Psychiatrist and Assistant Professor of Psychiatry from the Kuwait University, Dr Mariam Alawadhi, MD, BMBCh, FRCP(C). It was fascinating to hear from her during the Masterclass and her contribution was extraordinary. We had a series of lectures on various relevant topics in the morning followed by a group exercise. 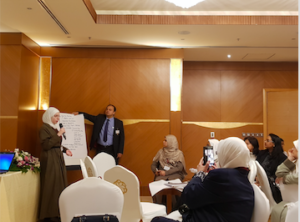 During the group workshop, the attendees were divided into small groups and given different clinical and service development scenarios. Initially, a representative from each group was asked to present the views of the group on that topic. This was followed by a group discussion where every attendee was asked to talk about their own views and opinions. Some of the attendees shared their personal account of struggle and difficulties with Perinatal Mental Health conditions. 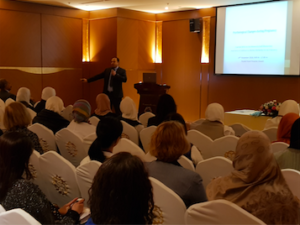 Dr Elmardi kindly chaired the entire Masterclass and gave us an overview of his international experience of working in different Maternity Units and his vision and overview of the work at the Royale Hayat Hospital. 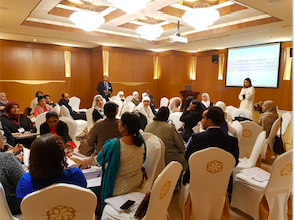 The Masterclass was attended by doctors (all grades including Consultants), nurses, midwives, nurses, and medical students. They came from all across Kuwait and abroad. 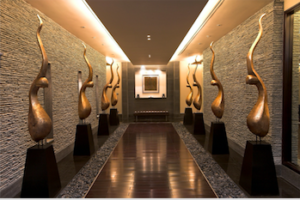 Royale Hayat Hospital is a multi-speciality hospital delivering the highest quality care combining hospitality and healthcare services. They are committed to delivering safe, modern and quality medical care and services to society in an environment of compassion, comfort and care. 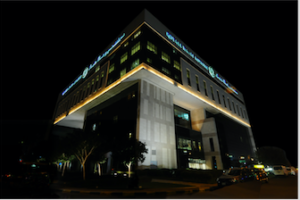 The hospital was established in 2006 and soon became a centre of excellence in healthcare in Kuwait. We were very impressed by the leadership of Dr Elmardi and other members of the Executive team. It was brilliant to see the dedication and determination at all levels of staff at the Royale Kuwait Hospital to make this a remarkable landmark in the Middle East. Dr Elmardi kindly gave us a tour of the entire hospital the day before the Masterclass. 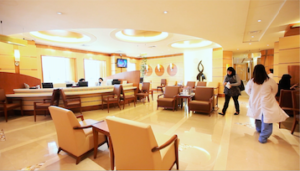 We witnessed with amazement how nicely the Management team has combined patient safety with luxury and comfort. We spoke to many members of staff and they were very satisfied at work and felt very supported by their senior colleagues. 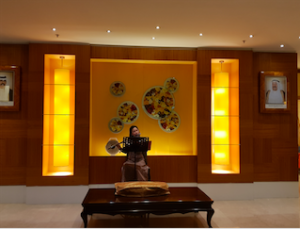 I think, perhaps, the secret of success of the Royale Hayat is the staff satisfaction and training so that they can provide the highest quality of care. I would like to commend the hard work of Katrina Longaza, Executive Assistant to the Head of the Department, for her attention to details. She made sure our trip to Kuwait was free of any trouble and she led the groundwork meticulously. 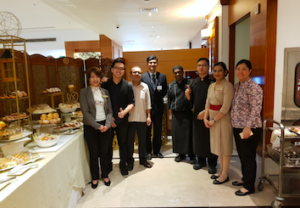 I would also like to thank some other members of the staff who contributed to the smooth running of the Masterclass, including Sheila, Fitri, Peluchi, Rosemary and Chef Z. We are grateful to the Management Team of the Royale Hayat Hospital and Dr Elmardi for the hospitality and for kindly arranging our brief tour of Kuwait and informing us about the great heritage and culture of Kuwait, and making us familiar with the wonderful cuisine. We received outstanding feedback from the attendees and huge credit goes to the brilliant arrangements by the team of Royale Hayat. We returned home enlightened and inspired.